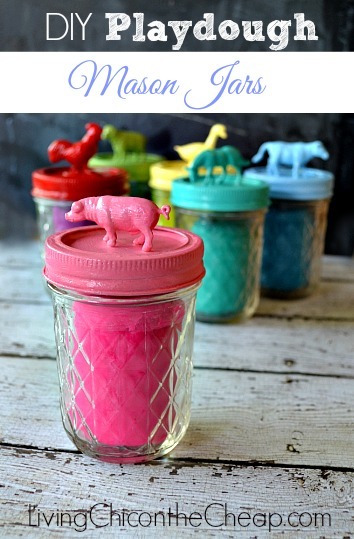 Add coordinating homemade playdough to fun painted topped jars. You can get recipes for the playdough plus instructions on the jars from Living Chic on the Cheap. This idea can be used for party favors, gifts, and more! Be sure to click over and head to the original source before pinning this image.